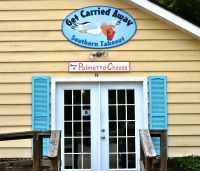 Get Carried Away Southern Takeout does not have any reviews posted yet. Be the first and post one below! Lowcountry boil, pies, chicken bog, and many other favorites. We have lots of local products produced by local proprietors and Palmetto Cheese.